This second generation old estate is located in the town of Davaye, in southern Burgundy. The winery was founded by Maurice Martin in 1969. His son Richard took it over in 1990 and was joined by his brother Stéphane in 1992. While Richard takes care of the vinification and the sales, Stephane is in charge of the vineyard. They sell 80% of their production in bottle and 20% to negociants. Currently, they export 40% of their wine outside of France. 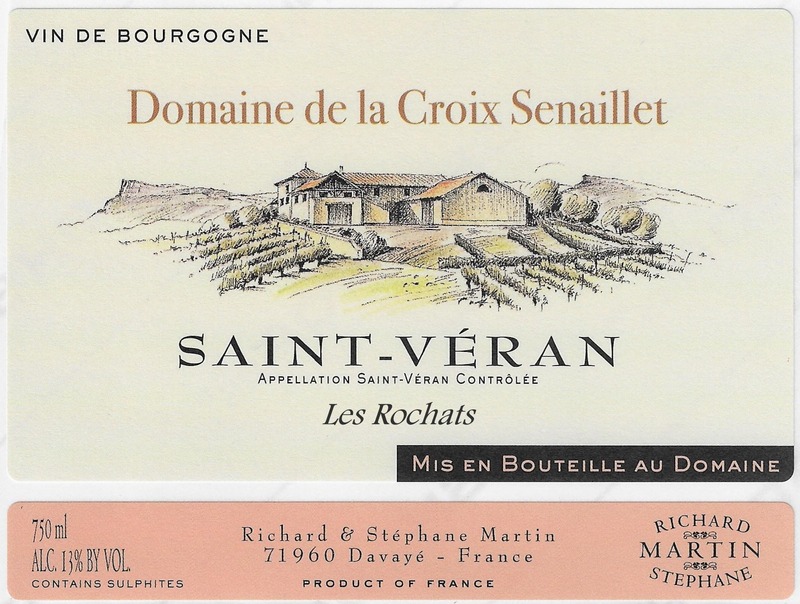 "Domaine de la Croix Senaillet" takes its name from a cross that had been given by an ancient mayor of the village called Benoit Senaillet. The records show that the mayor donated the cross to Davaye in 1866 to replace the one that was destroyed in 1793 during the French Revolution. According to the common believes, the cross that was blessed in 1867 would protect the inhabitants of the village and everyone that would pass by. The vineyards are located on the south/southeastern slopes of the Solutre and Vergisson rocks. The estate spreads over 52 parcels in the town of Davayé and measures 22 hectares total (54.3 acres): 17 ha in St Veran, 5 ha in Macon, less than 1 hectare in Pouilly-Fuisse. The soil is both chalk and clay. The vines are 40 years old on average. In order to increase the quality of the grapes, Stephane has decided to use "culture raisonnee", which means that they watch carefully and daily the vineplant, checking for the sanitary level in the vineyard and use very small amount of pesticide and chemical products if necessary. Saint Veran's AOC represents 696 hectares (1,726 acres) in total.